Hackers add Mote.io support for Google Play, Plex, and TuneIn radio as the Chrome Extension goes open source! It’s been an exciting few weeks in the world of Mote.io. I recently open sourced the Google Chrome extension for the HackNYhackathon that happened at NYU on September 28th. 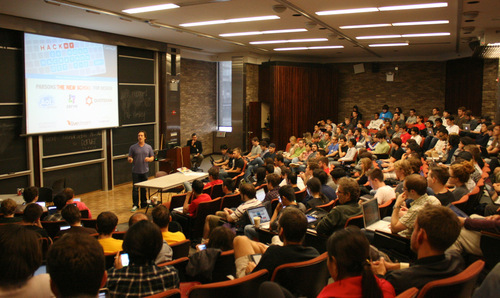 In just 24 hours, hackers at HackNY built remotes for Google Play, Plex, and TuneIn. After some code review and a couple pull requests, they were merged in and pushed live. Homebase has also been updated to reflect the newly supported sites. I asked each of the hackers to tell me about their school, major, team, and what their experience working with the Mote.io API was like. It turns out it was a couple of their first hackathons! I’m currently a sophomore as an ITI (Info Tech & Informatics) major at Rutgers but I’ve taken CS courses back in high school. HackNY was my first hackathon and I went just for the learning experience. My team consisted of me and a friend (Jon Wong – a junior at SIT (Stevens Institute) – ECE major) who also came along for the learning experience. I initially read a post somewhere a few weeks back stating that their friend created mote.io and would be at the hackathon. I didn’t think too much of the app at first but once we got to hackNY and I sat down to play around with it, I realized the potential this intuitively designed app had. Our initial goal was to write a remote to work with the Spotify web player (play.spotify.com) however, we couldn’t seem to get it to work and I just suggested that we write a remote for Tunein. Your API was extremely easy to understand and utilize. After some digging through the source pages of tunein, we were able to determine which classes would seek the playback info and playback controls. It was relatively easy to program after crossing the initial threshold of understanding how everything worked. Definitely going to look to complete that Spotify remote soon. a) Studying/reading on my bed while my computer was playing music at my desk and b) Having my computer connected to speakers at some kind of large gathering and being able to control it from across the room. It was definitely an interesting project, as we had no experience with js or jquery, but we were able to pick up enough based on the pre-existing remotes and limited experience with css selectors. The main issue we had trouble with was having the first song play automatically, as there was no button bound to select a song. We got some much needed last-minute help from Jesse from Clef with a workaround there. We, Shivam Mevawala and Sameer Chauhan, are senior electrical engineering students at the Cooper Union as well as roommates. We recently bought a Google Chromecast and plugged it in to the living room television. We have a Plex Media Server set up on a computer and are able to stream it to the television, but we had no way to control it without waking back to the computer, which was in another room. That’s when we decided to make a Plex remote for Mote.io. I’ll be presenting the Mote.io API at Music Hack Day NYC tomorrow. 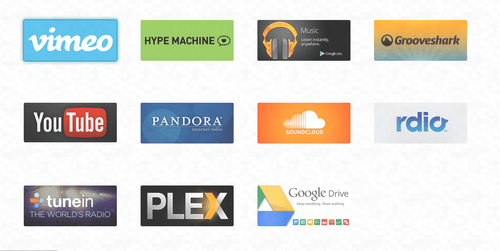 This is your chance to make a remote for your favorite music site with help from me personally. Previous Post Announcing the Mote.io release video!